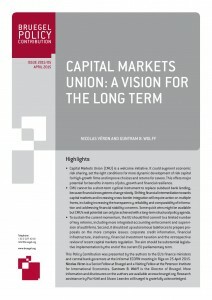 • Capital Markets Union (CMU) is a welcome initiative. It could augment economic risk sharing, set the right conditions for more dynamic development of risk capital for high-growth firms and improve choices and returns for savers. 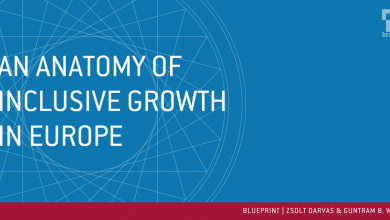 This offers major potential for benefits in terms of jobs, growth and financial resilience. • CMU cannot be a short-term cyclical instrument to replace subdued bank lending, because financial ecosystems change slowly. Shifting financial intermediation towards capital markets and increasing cross-border integration will require action on multiple fronts, including increasing the transparency, reliability and comparability of information and addressing financial stability concerns. Some quick wins might be available but CMU’s real potential can only be achieved with a long-term structural policy agenda. • To sustain the current momentum, the EU should first commit to a limited number of key reforms, including more integrated accounting enforcement and supervision of audit firms. Second, it should set up autonomous taskforces to prepare proposals on the more complex issues: corporate credit information, financial infrastructure, insolvency, financial investment taxation and the retrospective review of recent capital markets regulation. 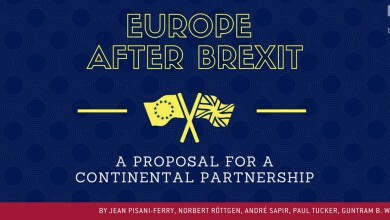 The aim should be substantial legislative implementation by the end of the current EU parliamentary term. The paper was originally published by Bruegel and is a contribution to the informal ECOFIN discussion of EU finance ministers and central bank governors in Riga.